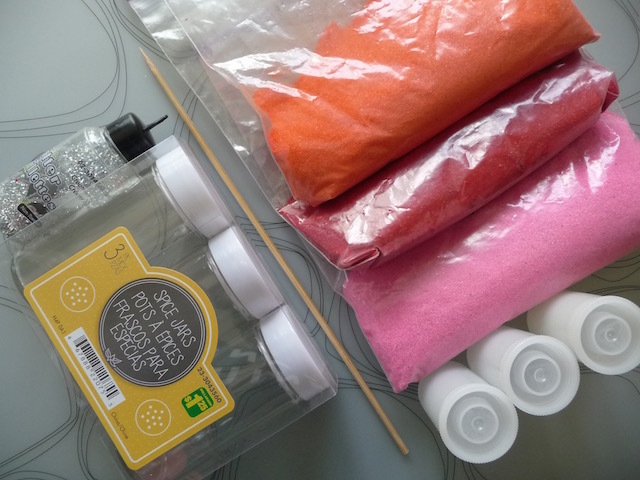 Containers for this craft can easily be found at dollar stores. We used spice jars, but there are all sorts of interesting shaped jars you can work with. 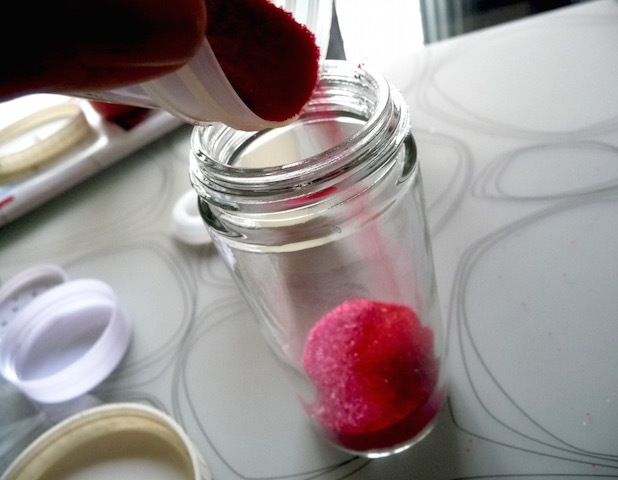 You may want to put the sand in small containers for easy pouring, or use a spoon and funnel. 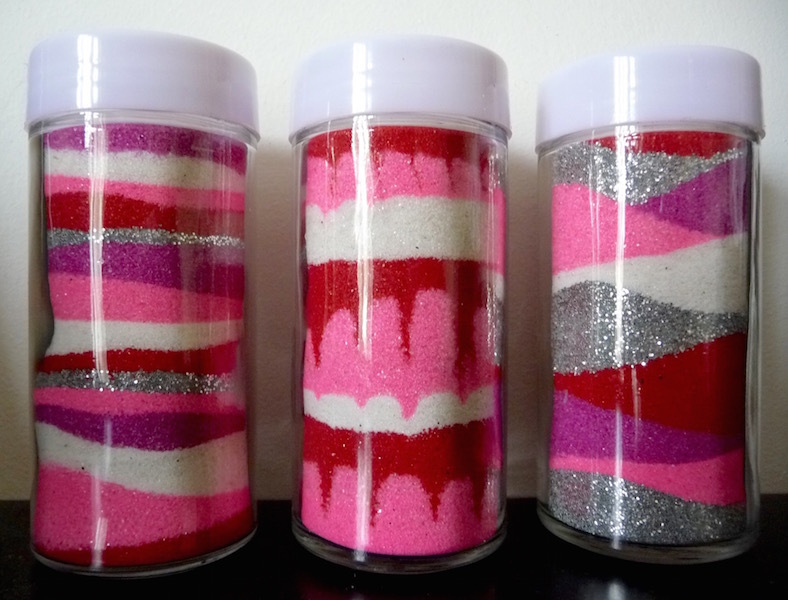 Simply pour sand into a container and alternate with other colours, creating interesting layers. Play around with different thicknesses and patterns. 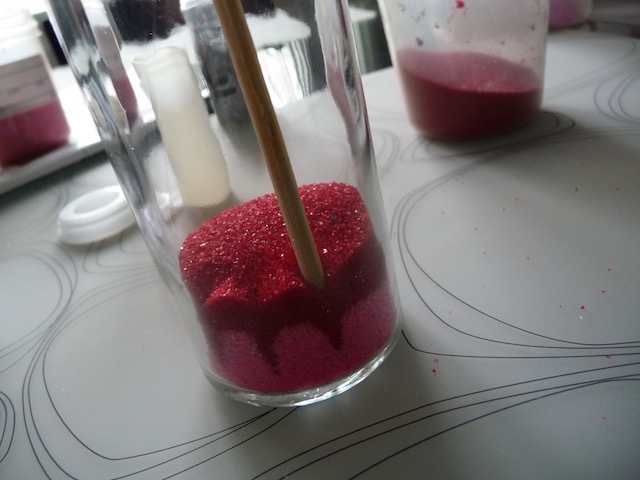 You can use a skewer to create patterns by poking it along the side into the sand, or add glitter for some sparkle. Once the container is filled to the top, put the lid on and decorate with stickers or small candies. My kids love making sand art!! but I have never though about using spice container, what an ingenious idea!! We will have to give it a try, it is a super festive and easy to make!! Thanks so much! Will definitely join your link up. I think this would be a great craft for me to do with our grands! Thanks so much for sharing it with SYC. I have seen so many fun crafts at this week’s party. I wish I had grandchildren to try out each craft. Pretty! I love how the sand looks with the glitter! Very pretty! I think kids would benefit from the motor control required to make these too.